If the above quote describes how members of your organization feel about negotiating, they’re not alone. 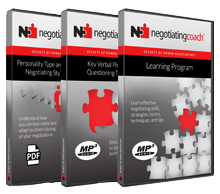 negotiatingcoach.com’s research indicates that more than 87 percent of senior executives, marketing, purchasing, operations, sales professionals, and other businesspeople have exactly the same challenge: members of their organizations may understand the theory behind negotiating or may negotiate based solely on instinct. 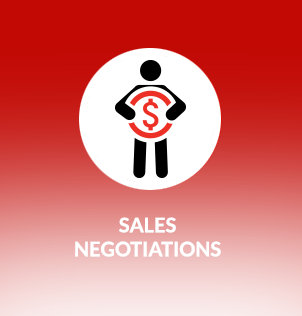 However, most organizations and individuals don’t have a proven negotiating process and methodology and thus don’t know how to make the combination of a negotiating process and methodology, as well as strategies and techniques, work in their business lives. 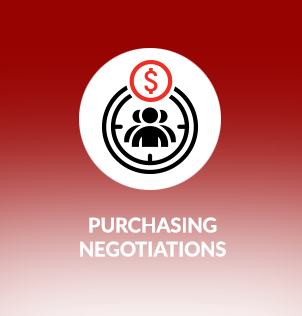 Today’s competitive economy and market conditions are limiting options for everyone involved in all types of negotiations. 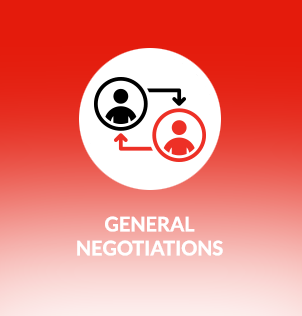 People have less financial room to manoeuvre, and most people feel anxious and inadequate when facing difficult negotiations – and, unfortunately, the people on the other side of the negotiating table are getting savvier about negotiating. 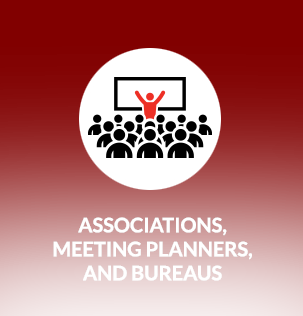 Our Secrets of Power Negotiating® for General Negotiations presentation, seminar, or learning workshop is designed to address the most common negotiating challenges and is tailored for companies that have participants who work across different functional areas within the organization. 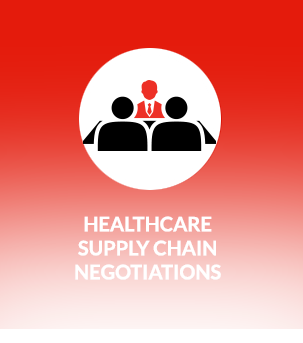 This program is applicable to senior executives and all levels of senior management and sales personnel, as well as to purchasing/supply chain, operations, marketing, human resources, finance, account managers, customer service, and cross-functional personnel. 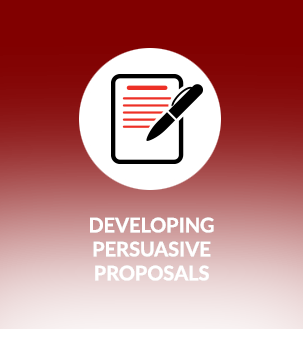 Indeed, anyone in your organization who interfaces or negotiates with customers, clients, vendors, suppliers, co-workers, colleagues, and stakeholders across any industry sector would benefit from attending this program. 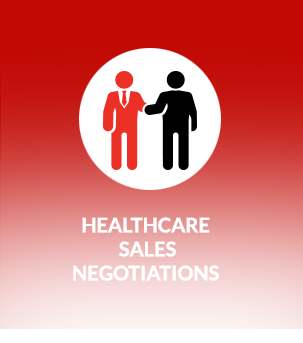 This program is also ideal for smaller-to-midsized companies that do not have enough employees from one functional group to justify an in-house negotiating program just for sales or purchasing personnel. 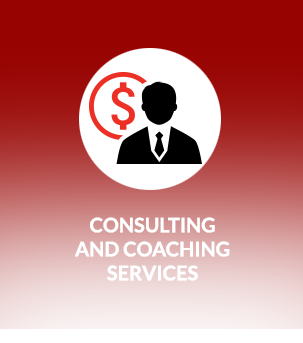 If you are a senior executive with decision-making authority who wants to improve organizational performance, business results, profitability, and outcomes, then negotiatingcoach.com® can provide a cost-effective solution with a proven return on investment for your company.